Has there been a more consequential story to the history of humanity than that of Adam and Eve? In the assessment of Stephen Greenblatt, Shakespeare scholar and Pulitzer Prize-winning author of “The Swerve,” probably not. But for Greenblatt, the significance of the origin story of Abrahamic religions ranges past its tangibly profound impact on the course of western society, presenting an unmatched opportunity to explore the elusive yet absolute power of stories. Greenblatt and I met to discuss the book. Read excerpts of that conversation, below. Talya Zax: What drew you to the subject of Adam and Eve? Stephen Greenblatt: In general I’m drawn to the question of why stories are so powerful, why they haunt people, why they stay in people’s minds, why they, in extreme cases, become real. I’m a Shakespearean by vocation for whom characters like Hamlet, King Lear and Falstaff seem to have come alive, so I’m interested in that phenomenon. Adam and Eve is the extreme example of that in all of Western culture, for Jews, Muslims and Christians alike. I became interested in this as the paradigmatic story of our culture for its origin and for its meaning. The shortest possible account would be that an ancient myth, or ancient story, began to take on a life of its own and then took a remarkable turn: It gradually, for millions of people, became real. The story, in that sense, is a Pinocchio story: How does the puppet with the obvious strings start dancing, without the strings, and actually come alive? The twist of the story is that it turns out that the danger of coming alive is that you also die; the story, as a claim on reality, begins to crumble. It returns, in effect, to where it came, which is to say to myth. My story is about a myth that becomes real and then returns to myth. What do you think the future of the story of Adam and Eve might look like? As part of this whole project I’ve been trying to think about why it is that when they do polls, not just in the United States – which is an extreme case – but even elsewhere in the world, so many people don’t seem to believe the Darwinian account, which sits at the route of much modern science. The same people who go and have CAT scans and all kinds of things that depend upon a set of research assumptions about the world nonetheless believe in a completely different theory of the world. Why is that? Darwin published “The Descent of Man” in 1870, that’s just really yesterday. 150 years ago; it’s nothing. We don’t know when the Adam and Eve story originated, but if we try to imagine the Adam and Eve story 150 years after it began to circulate, that’s before hundreds, even thousands of people – artists, writers, profound intellectuals, ordinary people – invested their imagination and energy in it. I’m curious as to what will happen to the evolutionary story when the evolutionary story gets its Augustine, gets its Durrer, gets its Milton. What will happen to the Adam and Eve story, if I would speculate, would be that it would be like Sophocles’s “Oedipus.” Everyone gets that Sophocles’s “Oedipus” is an incredible imaginative achievement, but no one believes that there was a man named Oedipus who killed his father and married his mother. They think the story is beautiful in itself, and it says something quite important about deep structures in human life. But the idea that you would have to sign on to thinking that it’s true, that seems to me to be fated to disappear – true in a naturalistic sense; true in a scientific sense; not true in the way we say literature is true or art is true. The trope is that we live in a secularizing world, but there are scores of people who still have deeply-felt religious beliefs that are tied specifically to this story. I have them. I’m not, as you say, the village atheist in this regard, and I’m not interested in waging a campaign against believing it. The continued power of the story, or the continued spiritual feelings of human beings doesn’t surprise me in the slightest. I think, actually, it’s the notion that we’d be in a completely evacuated secular world that strikes me as an increasingly implausible hypothesis, given the anthropological evidence of what human beings have been like for the last 50,000 years. Can you tell me a bit about your own religious life? I grew up in a conservative household, I kept kosher, when I was young I wasn’t allowed to cut paper or write on Shabbat. My parents made various accommodations to the world, my father loved baseball and would leave the television on before dark on Fridays so he could have a look at it on the channel he wanted. At a certain point I had a kind of skeptical dissilusionment. I would say if I had a single a watershed moment in my life – like everyone’s life, it’s more complicated than this – but if I had a single watershed moment, I was in England, I had a Fulbright after I graduated from college, and Yom Kippur came around. I’d never lived very far from the orbit of my parents, my world, and Yom Kippur came around and I decided – do I believe in any of this? And the answer: No. So why am I doing this, why am I fasting, why am I going to shul? So I thought, alright, I won’t. I treated the day like any other day. At the end of the day I was fine, no lightning bolt came out of the sky to knock me down, my parents didn’t have to know. But I had a kind of reckoning at the end of the day: I had succeeded in making the day like any other day, so nu? What kind of achievement was that? And I felt that I had actually flattened my life out in a way that was actually not what I wanted. I’m not a deeply observant person, but I’m observant enough. It makes the rhythms of life interesting to me. In your book, you explore how the story of Adam and Eve emerged in response to external influences, specifically the Babylonian origin story encountered by the Hebrews during the Babylonian Exile. How did that story impact your own concept of what it means to be Jewish? I was familiar with it in some sense. People have known since the 19th century, for example, that the Noah story has an antecedent and it is, I think, reasonably well-understood that it’s naïve to think that the antecedent means that “ah yes, the Hebrew story is true,” it just means that this is a story that was circulating in Mesopotamia for a very long time. If I had had a commitment to the idea that Jews invented every bit of this, as it were, from nowhere, then maybe I would have been surprised or shocked, but I already understood, again, talking about Shakespeare, things always come from somewhere else. Things never actually originate where you think that they originate. So I wasn’t actually taken aback by that. What I did think when I thought more about the Hebrew exile in Babylon, I did think that miserable anti-Semite Nietzsche – anti-Semite is not quite right, he’s more complicated than that – that miserable Jew-and-Christian-hater Nietzsche had this critical error. His account that the ancient Hebrews must have been motivated by tremendous rage at the people who oppressed them, to my uneasiness, I sort of got it. The other thing to say is that it’s really interesting that the Tanach doesn’t begin with Abraham. It begins with Adam and Eve, who aren’t Jewish, and, as you know aren’t Hebrews. The origin story is not the origin of our tribal people and our tribal god; the origin story is the origin story of humanity, in which we are a part. It’s kind of wonderful that the story begins that way, and not with Abraham, because it is an acknowledgment that we are just one piece of a very big part of humanity. It’s not an accident that people speak now of the Mitochondrial Eve, because Eve is that kind of metaphorical representation of species destiny, not simply a tribal destiny. This book demonstrates the ways in which no culture or tradition is really independent. How you see this particular story, and the way that you’ve chosen to tell it, in the context of current debates about cultural appropriation? I hadn’t thought about that in this context at all. My instinct is that this is actually quite a good story for cultural mobility, not for rootedness or exclusivity, in terms of this particular history of its uses in the West. It’s not an accident that it’s appropriated by Jews, Christians, Muslims; the sharing of the same story doesn’t mean that we’re all friends. But it does mean that cultural materials can’t be boxed in and strictly owned. I can imagine people saying this is a story that’s caused more death than we can comprehend. Wouldn’t it be better if the Hebrews hadn’t felt the need to write something in response to the Babylonians? If it hadn’t crossed borders, would there be more peace? I don’t know about the death part, but suffering, yes. The Augustinian idea of original sin, and then the misogynistic uses of the story, I think caused a lot of suffering. But your hypothetical person who says this seems to me to actually understand surprisingly little about how virtually all culture works, which is that it doesn’t come in a neat, clean and perfectly safe package. What is the alternative that’s being proposed? What are the models of an absolutely perfect set of beliefs that don’t hurt anybody? Cultures are complicated. It’s a constant negotiation and struggle, including the Adam and Eve story. There are parts of the story that are extraordinarily wonderful and important, and there are parts of the story that are horrible, that can be used for horrible purposes. You don’t have to roll over and play dead; you actually have to be much more active in relation to all of the things that you receive. You’re a Shakespeare scholar by training. What initially brought you to expand from Shakespeare to these greater looks at intellectual history? I’ve always danced around in other areas. When you think about Shakespeare himself, his mind was all over the place. Though I’m no Shakespeare, one of the things that appeals to me about Shakespeare is the odd way in which his mind flits from Ancient Rome to Bohemia to prehistoric Britain, and so forth. Why should one define the world narrowly? Was Eve Created From a Very Different Bone of Adam? 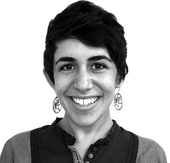 This story "How Adam And Eve, As A Story, Shaped History" was written by Talya Zax.